At fifteen, I moved away from San Francisco to Paris, a very beautiful, but land-locked city. For years, while living in the French capital, I carried in my mind’s eye images from my childhood: the blue water of San Francisco Bay, the cat’s paws of fog rolling through the Golden Gate, and the rock-island of Alcatraz. I could not forget the breath-taking view from the windows of my school library on the hills of Pacific Heights and the sound of distant fog horns when I walked home in the afternoon. To my mind, the Seine could never make up for what Paris lacks, a large expanse of water. Now I’m back in California, living in a place where I have another panoramic view, but this time from Berkeley, on the other side of the Bay. From my window, I can see the skyline of San Francisco, the Golden Gate, Angel Island, and Mount Tamalpais. Sometimes I go down to the Berkeley Marina, sniff the sea air from the dock, watch the sail boats and admire the antics of wet-suited windsurfers. 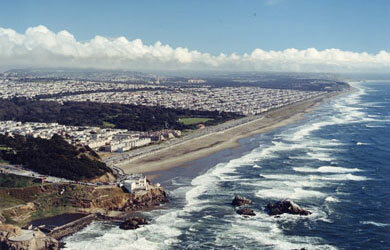 I’ve also been to Ocean Beach and Baker Beach in San Francisco and to nearby spots like Muir Beach and Stinson Beach, where nobody swims—the water being much too cold – but where the breakers and the tides remind you that San Francisco is a city not only on a bay but also on the ocean. The more I travel, the more I appreciate cities on water. I must qualify this a bit. Some cities I’ve visited, Shanghai and Tokyo, for example, are vibrant and exciting places, but their ports are out-of-the-way and industrial. I like cities giving onto water that are proud and boastful of their harbors. Indeed, every time I discover a new one, I feel a flutter in my heart and imagine myself settling down to live. In addition to my native San Francisco, I’ve fallen in love with other cities on water throughout the world. All of these cities hold a special place in my heart and in my mind’s eye. In addition to their natural beauty, they evoke memories of experiences, adventures and people, all of them related to their location on water, and I cherish them for this. 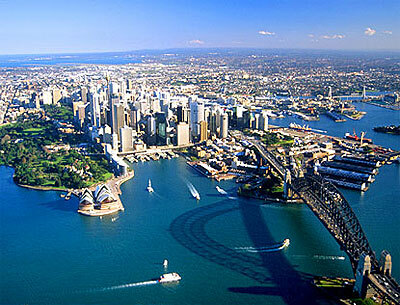 When I discovered Sydney, “the Harbor City”, I was reminded of San Francisco. My first day there, I took a ferry ride across the bay, passing under Harbour Bridge and wondering–just as I used to do as a child when under the Golden Gate– how many people had jumped to their deaths from its height. Admiring the Opera House, I couldn’t help thinking how much it resembled a winged bird skimming over the water’s surface. And before I left Sydney, I took a bus out to Bondi Beach and watched the surfers, little knowing then that five years later my own son Marc would be there among them. While in Hong Kong, I didn’t stay in the city proper, on Hong Kong Island or on the Kowloon Peninsula. Rather, I stayed on the southern tip of Lantau Island and traveled to the city by ferry across the water into Victoria Harbour. What a different view I had of the city’s skyscrapers and harbor when approaching them from the water than the one I later had from the top of Victoria Peak! And I’m sure one reason I have very fond memories of HK is because I was able to get away from the hustle and bustle of the big city and return to my haven on Lantau, where I could swim, sun-bathe and go biking. 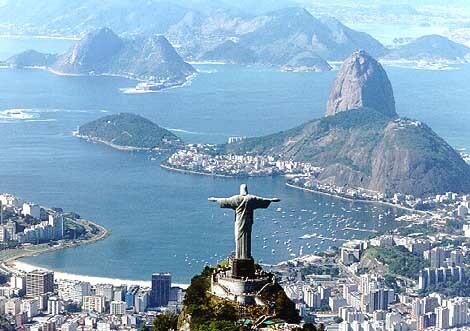 Picture post cards and photos don’t do Rio de Janeiro justice. It is much more beautiful than what a camera can capture. Even from the top of Rocinha, the poorest favela in South America, which I visited, local residents have a view of the blue Atlantic on the horizon. From atop the Sugar Loaf, I saw Guanabara Bay and the city below, but I must admit that when our cable car reached the peak of the Corcovado, another of Rio’s famous landmarks, I couldn’t see anything because, as often happens, the statue of Christ the Redeemer, as well as the city beneath us, were covered in a thick carpet of fog! I was luckier the next day when taking a round-trip ferry ride to Niteroi: from the water, the views of the skyline of Rio were almost as impressive as from on high. Other water memories of Rio include my swimming alone at Cocacabana and Ipanema and leaving nothing but a towel and a pair of dime-store flip-flops on the beach in case of robbery. 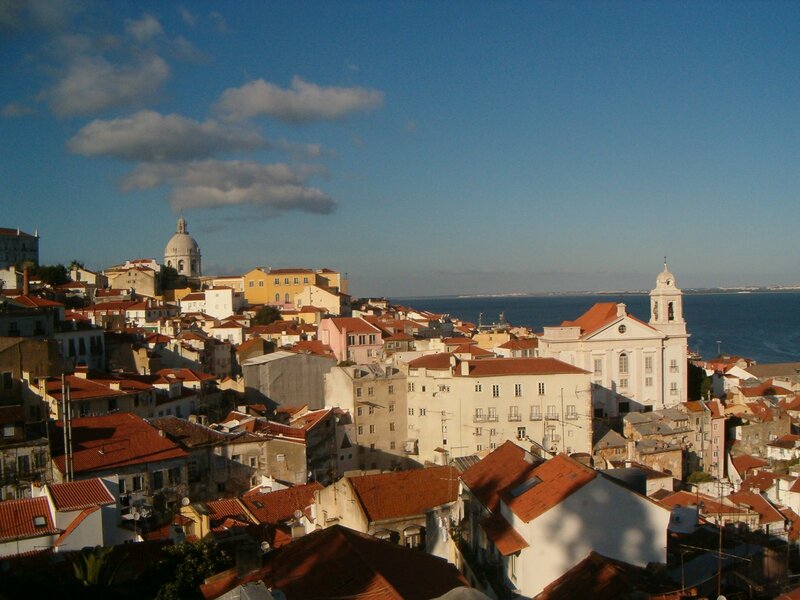 The first time I went to Lisbon I was with my ex-husband when we were still in love. It reminded me very much of San Francisco, with its hills and little cable cars, and its suspension bridge across the bay. I read recently that the bridge, the 25 de Abril, was actually built by the same company that constructed the Golden Gate! I remember discovering fado with my husband at one of the city’s famous taverns and visiting the Belem Tower and the tile museum while he –poor man—spent the day in Portuguese automobile factories. The second time I went to Lisbon, I was on my own attending an American Studies conference at the university, whose windows provided lovely views of the Tagus River estuary. By this time, a second bridge, the Vasco da Gama, had been built, and we conference attendees were treated to a lovely cruise during which our boat actually passed under it. Much further north, beautiful Stockholm is made up of 14 islands and is situated at a point where Lake Malaren meets the Baltic Sea. I’ve also been there twice—once alone and once with my ex-husband. When I went there alone, I was only 19 and visiting a Swedish exchange student from my college in New York. Ulla was beautiful and sophisticated. Her father was a doctor, and I remember she put on white gloves to take me to visit a Claes Oldenburg exhibit at the Moderna Museet on the island of Skeppsholmen on the bay of central Stockholm. 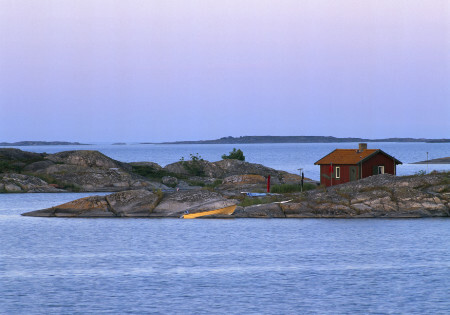 About 20 years later, my husband and I stayed with Swedish friends on another island, Lindigo, and took a day excursion out to the archipelago, where many of the 24,000 islands and islets only have a few, small, colorfully-painted wooden houses on them. Helsinki and St. Petersburg are two other northern European cities on the Baltic Sea I have visited. Because of their climate, I wouldn’t want to live in either one, but I was struck by the constant activity of their harbors. Like Stockholm, Helsinki is spread out over different islands and bays, and its port is one of the largest in Scandinavia. I actually went down to the docks to find out about taking a ferry to Tallin, Estonia, but because of the choppy November waters decided to take a train to St. Petersburg instead. Of course, what I remember most about this beautiful Russian city is the Hermitage Museum. However, in my mind’s eye, I also recall visiting an island on the Neva River and young Russian newlyweds having their pictures taken at a point where it juts out into the Bay of Finland. 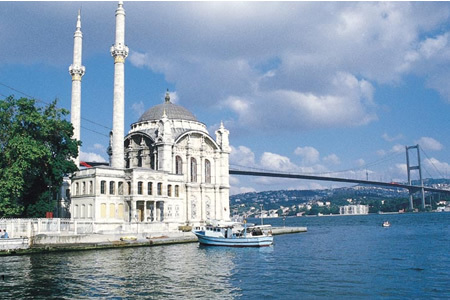 Because of its position on the Bosphorus and its deep natural harbor, the Golden Horn, Istanbul struck me as a very proud, very commercial city on water—a city striding two continents with a definite mixture of east and west. During both of my stays there, I went down to the city’s busy docks, where I heard deck-hands shouting to each other in Turkish and observed the coming and going of ferries, boats and ships on the Bosphorus. Taking a two-hour cruise, I was able to admire, from the water, the turrets and colors of the Topkapi Palace, the Aya Sofya and the Blue Mosque. The stunning views of these monuments, set against the blue of the sea, still remain in my memory many years later. Returning to the North American continent, in addition to San Francisco, four other cities have impressed me because of their location on water. New York is one of them. No matter how many times I have done it, and even if the Twin Towers are now gone, I still get a thrill whenever I take the Staten Island ferry and observe the skyline of Lower Manhattan. And when I see the Statue of Liberty and Ellis Island, I can’t help buy think of all the immigrants who arrived there by ship. On the opposite coast, San Diego, Seattle and Vancouver are all “water cities” where I could imagine living. The fact that all these cities have left such an impression on me makes me wonder: What is it about cities on water? Why are they so attractive to people like me? Is it the natural beauty of their harbors and setting? The vistas they provide? The activity of the boats, ferries and ships gliding across their waters? The people and memories they provoke? Is it their appeal to our senses, what we see, hear, smell, feel? Or is it something more primal and universal, related to the womb-like relationship we have with the sea? Do cities on water, like water itself, bring us inner peace– a feeling of continuity in space and time? Or do they impress because of their power, of their opening out and going forth in the world? Probably a combination of all of these, I imagine.